With Rum! - A "Southern Flair?" 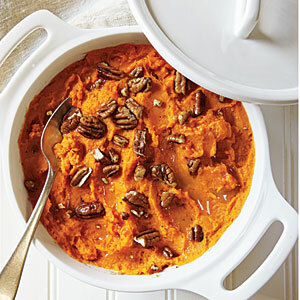 This restaurant Sweet Potato Recipe was developed for a Women's Networking group who wanted something with a bit of a "southern flair." Preparation time: 45 minutes. Number of servings: 6-8. Sprinkle with orange zest, if desired. As an option you could substitute pecans (chopped or whole) for the coconut or use a little of each. 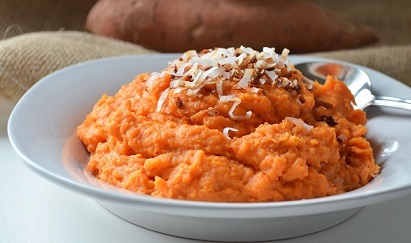 Sweet potatoes may be boiled or baked. If baked, allow them to cool enough to handle, cut open and scoop out into a bowl and mash with other ingredients. 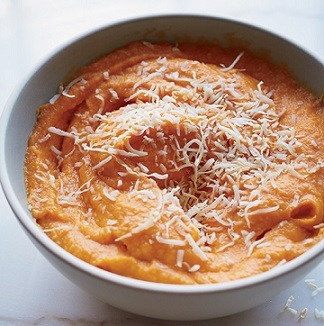 Serve this restaurant recipe for sweet potatoes with baked ham, roast turkey, roast pork, roast prime rib or as a buffet side dish. Thank you for your interest in these restaurant recipes ...recipes that work. Please stay awhile. There are many more restaurant recipes on the website that restaurant customers have requested for over three decades. "In the southern half of the country perhaps no crop has larger possibilities for a quick increase in the production of food for both men and animals than the sweet potato."